Imposing Temple Newsam, a Tudor-Jacobean house, which has been described as "the Hampton Court of the North" and beautifully restored to its former glory. The house lies to the east of the city of Leeds. The estate is mentioned In the Domesday Survey of 1086 where it is referred to as Neuhusam and was owned by Ilbert de Lacy. Prior to that it had been in the possession of Dunstan and Glunier, Anglo-Saxon thanes. In around 1155 the estate was gifted to the Knights Templar. The Order of the Knights Templar was suppressed by King Philip IV of France in 1307 and in 1377 later the Temple Newsham estate reverted to Sir Philip Darcy. Between 1500 and 1520 a Tudor country house was built on the site. Darcy joined the Pilgrimage of Grace, a northern uprising in protest against Henry VIII's religious reforms and was executed for the part he played in the revollt in 1537. His property was seized by the Crown, in 1544 Henry VIII granted it to his niece Margaret, Countess of Lennox and her husband Matthew Stuart, Earl of Lennox. Their son Henry Stuart, Lord Darnley, who later married Mary, Queen of Scots and became the father of King James VI and I was born in the house in 1545. Temple Newsam was again seized by the Crown in 1565. In 1603 James I gave it to his relation Ludovic Stuart, Duke of Lennox. In 1622 the estate was purchased by Sir Arthur Ingram who rebuilt the house, incorporating some of the previous building in the west wing. Between 1736 and 1746 Henry Ingram, 7th Viscount of Irvine, remodelled the west and north wings of the house, creating new bedrooms and dressing rooms and the picture gallery. In the 1760s Charles, 9th Viscount, employed Capability Brown to re-landscape the park. 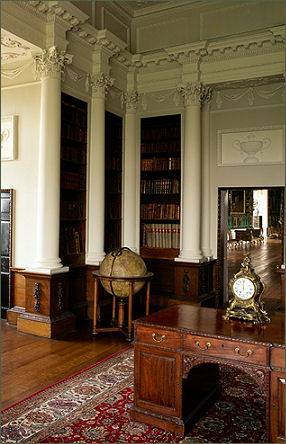 The work was continued by his widow Frances, née Shepheard, who rebuilt the south wing, and lived at Temple Newsam until her death in 1807. Their eldest daughter Isabella, Marchioness of Hertford was for a time mistress of the Prince of Wales, the future George IV, and in 1806 he visited Temple Newsam and presented her with Chinese wallpaper and the Moses tapestries. 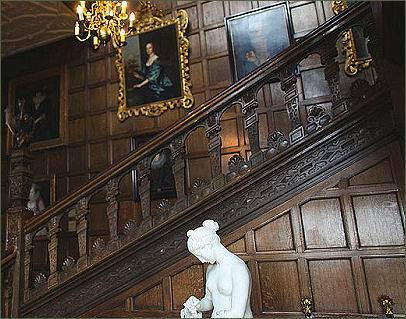 Lady Hertford's descendant Edward Wood sold the park and house to Leeds Corporation in 1922. The estate is open to the public. The house has been extensively restored and holds some of the most comprehensive collections of paintings, furniture, silver, ceramics, textiles and wallpapers outside London. A Grade I listed building, it has been defined as a "building of outstanding or national architectural or historic interest". The Home Farm which contains a barn built in 1694, is the largest working rare breeds farm in Europe. Breeds include Gloucester, Kerry, Irish Moiled, Red Poll, White Park, British White, Beef Shorthorn, Vaynol and Belted Galloway cattle; Kerry Hill, Whitefaced Woodland and Portland sheep, and Golden Guernsey goats. The estate contains a large area of woodland, the second largest part of the Forest of Leeds. There are facilities for sports including football, golf, running, cycling, horse-riding and orienteering. There is also a children's play park. The extensive gardens boast a rhododendron walk and six national plant collections. There is also a cafe and gift shop. 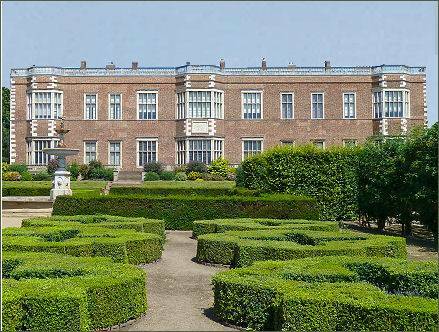 Temple Newsam is located just off the M1 (junction 46 from the South and junction 46 from the North). The postcode is LS15 0AE.